Not every season or new collection they put out is my taste so I'm often hit or miss with them but when it's a hit I grab some of the best pieces. And right now there are a ton of hits! I saw this plaid sleeveless blouse and added it to my cart instantaneously. As soon as it arrived, I loved it. 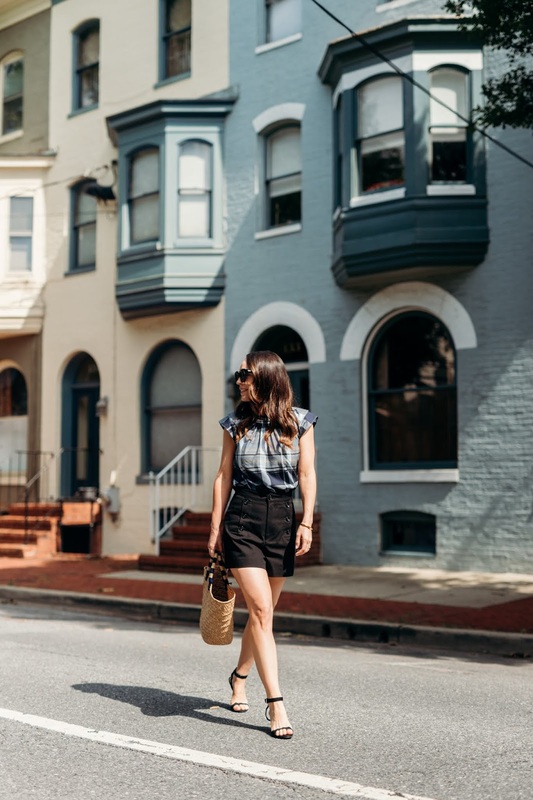 And the options to style this are endless - high waisted shorts like I have here, a denim skirt (which I've already worn together and love) and sandals, a pencil skirt for the office, dark jeans and heels for a night out - see? That's 4 looks for one shirt. Sold! There are a ton of others great pieces on the site right now so I pulled together all the best ones. And if you are looking for a good classic sandal, they have tons of cute options. Scroll through the widgets below for all my picks.